Thistle is a common, not scientific, name of a broad group of flowering plants, most of which belong to the aster family. Thistles have prickliness as a characteristic physical feature. Typically, prickles or spiny leaves surround the flower especially, though some thistles are prickly all over, a defense against being eaten. 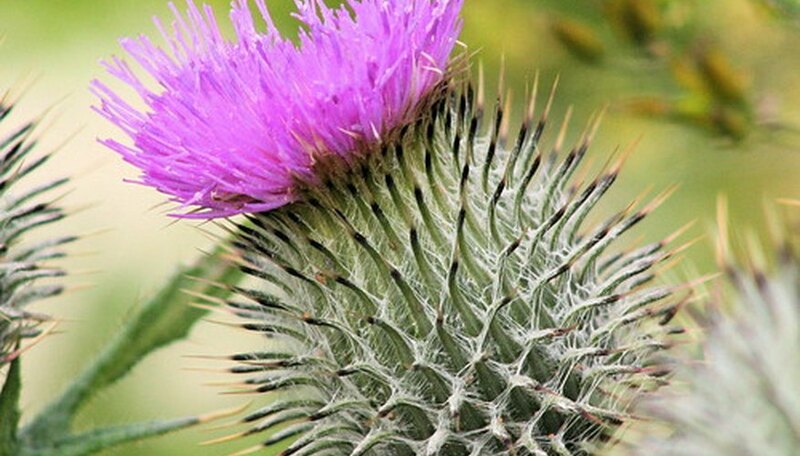 The thistle is disliked by many and branded a weed. It is unwanted due to some thistles' aggressive reproduction ability. The flower heads can prolifically produce seeds for dissemination far and wide, including by wind pollination. One musk thistle plant alone can, for instance, produce 120,000 seeds. Those growing thistle should cut off flower heads when they wither so the flower can't proceed to the seed-producing stage. While those who consider the thistle to be a weed and try to eradicate the plants, others cultivate some thistle for food. 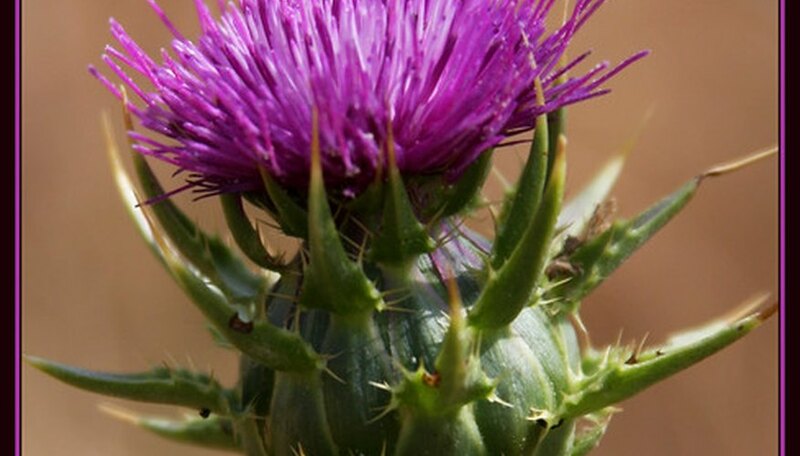 Once pollinated, the blossoms of edible thistles create seeds that are best eaten after being roasted. The seeds also can produce oil; others are reputed to possess medicinal power. Both the roots and flowers of the bull thistle are edible. Native Americans used to chew on the petals as they would chewing gum. Thistle flowers bloom in many colors, including white and yellow, though thistles are often thought of as lavender to purple. Usually the flowers are tube-like and cluster together in flower heads. Each flower head might appear to some to be a single spiky flower. Carline thistles are an exception. The flower looks reminiscent of a daisy, with radiating petals. The flowers of thistles are inviting to wildlife, attracting insects and birds alike. Butterflies attracted to thistles include the black swallowtail, the checkered skipper, the gorgone checkerspot and the monarch. 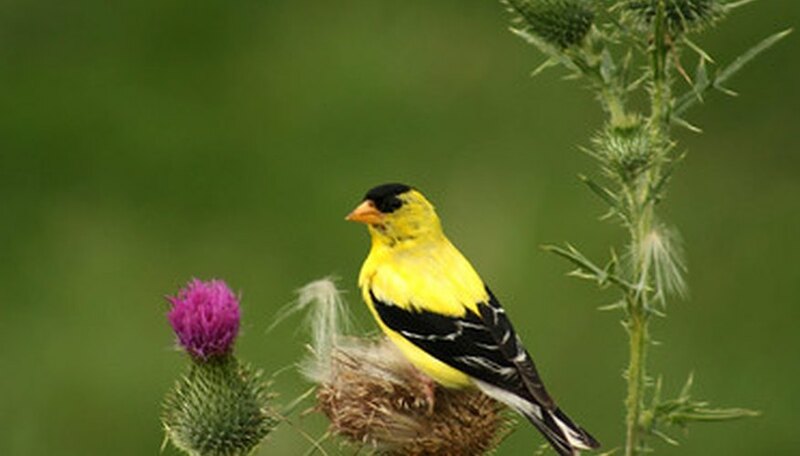 Goldfinches enjoy thistle very much, dining on them and using it for nest building. Bees, too, visit thistle flowers. The thistle blossom sits atop a structure called an involucre, which, in turn, tops the stem. The involucre can act like a sort of pedestal for the flower, or cup it the way the sepals of a calyx do on other flowers. The involucre is actually a collection of bracts that protect the thistle blossom. Bracts are leaflike structures.